Gottlieb made an immediate impact in his first season as head coach, leading the Tigers to their first appearrance in the NCAA Tournament. 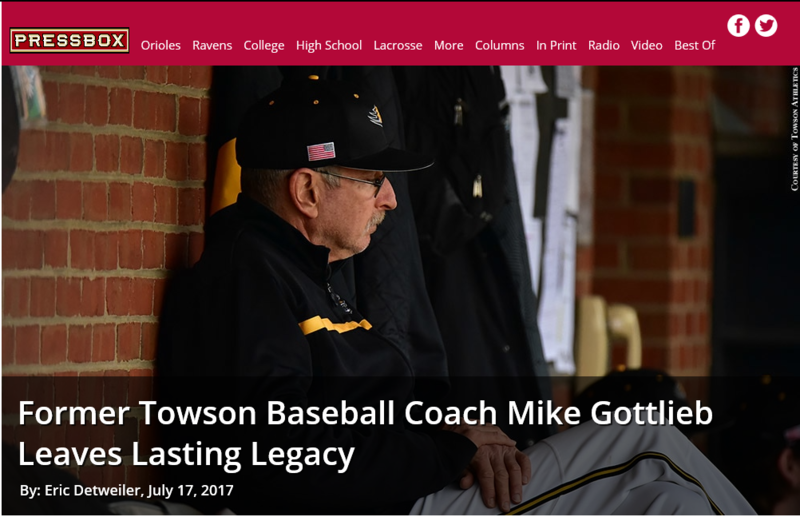 He guided Towson to a 30-17-1 record, including capturing the East Coast Conference regular season championship with a 12-2 record. The Tigers swept through the ECC Tournament to win their first tournament championship. For his efforts, Gottlieb was selected as the ECC Coach of the Year and NCAA Regional Coach of the Year. In their first appearance in the NCAA Tournament, the Tigers fell, 3-0, to eventual College World Series participant Miami, before rebounding for a 5-1 victory over VCU. Three years later, Gottlieb led the Tigers to their second ECC Tournament championship and the NCAA Tournament. The Tigers opened the tournament with a loss to Mississippi State before rebounding for a 5-0 victory over Princeton. The victory over Princeton was significant as it marked the 100th victory in Gottlieb’s career. Gottlieb would lead the Tigers to another 30-win season in 1992, their final year in the ECC. After a down year in 2004, Gottlieb doubled the team’s win total in a 34-24 season in 2005. The Tigers got better as the season progressed, winning 17 of their final 24 games. The Tigers offense featured an explosive offense that led the country with 105 home runs. The lineup was led by Second-Team All-Americans Jason Maxey (23 home runs) and Casper Wells (17 home runs). Wells, who is the only Tiger to earn CAA Player of the Year honors, would go on to be drafted in the 14th round by the Detroit Tigers. Shortstop Shane Justis would be selected in the 21st round by the Los Angeles Dodgers, marking the fourth time in the Gottlieb era that two Tigers were drafted in the same draft. The 2005 season also marked the first time the Tigers had reached the championship game of the CAA Tournament. Towson overcame an opening-round loss to knock off regular-season champions UNCW and Delaware on their way to the title game. Gottlieb is also responsible for recruiting and coaching all eight All-Americans and all three Freshman All-Americans in school history. He has also coached seven Academic All-Americans and 18 Academic All-District honorees. The Tigers have produced at least one all-conference performer in 25-straight years under Gottlieb. That list includes four conference player’s of the year, three defensive player’s of the year, one rookie of the year and 77 all-conference selections. 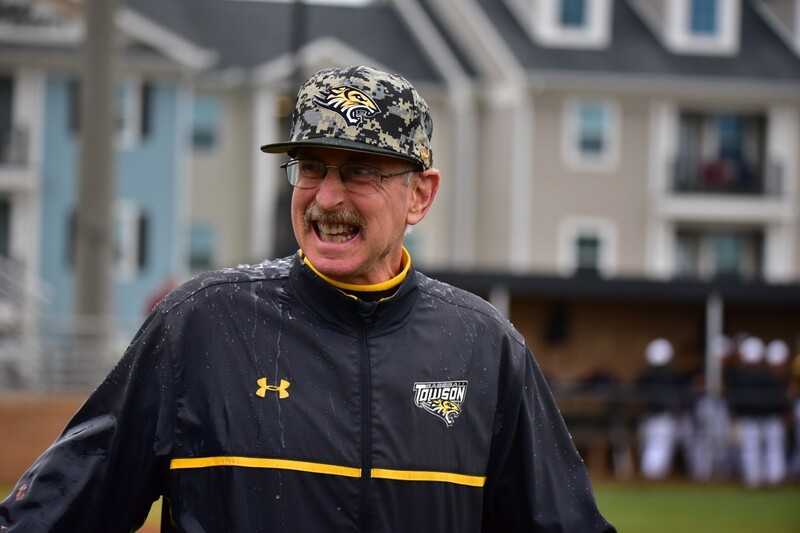 Three years ago, he became the first Towson coach to win 500 games when he earned his 500th coaching victory with a win over Mount St. Mary’s on March 12, 2008. Coach Gottlieb led the Tigers to a 30-28 record in 2008 as the team came on strong at the end of the year. After earning the sixth and final berth in the Colonial Athletic Association with a 14-16 record, the Tigers reached the CAA finals where they lost to James Madison, 6-1. As their program lay on the edge of oblivion, the Tigers charged ahead, winning the Colonial Athletic Association and earning a berth in the NCAA tournament. 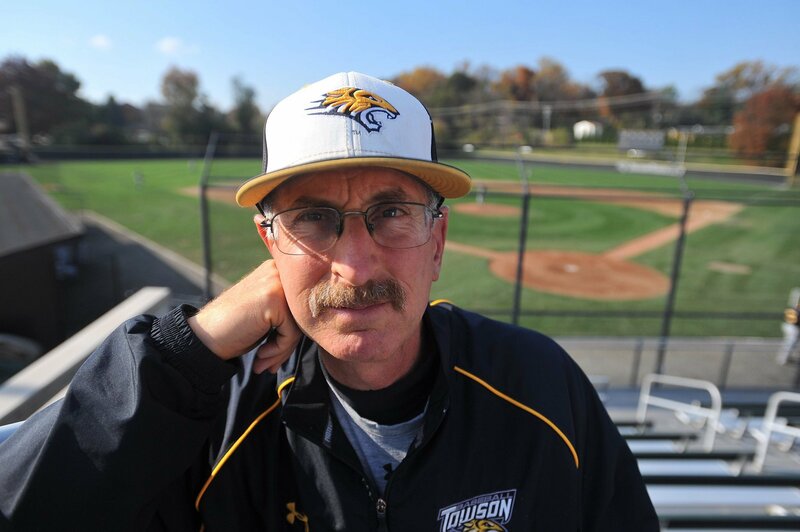 The politics surrounding the potential axing of Towson baseball went all the way to Annapolis — and the program received funding to continue for two years. The Tigers will now look to defend their CAA championship title this season. One of the positives for the team is that most of last year’s roster has returned in 2014. A look beyond the gleaming Towson logo and gem-encrusted baseball diamond on Mike Gottlieb’s 2013 Colonial Athletic Association championship ring reveals a message with deeper meaning. The veteran former head coach had the team’s rings engraved with the phrase “Against All Odds,” a nod to the program’s incredible resilience on and off the field on the way to its first conference title in more than two decades. On April 1, O’Malley bailed out Towson with a plan to free up $300,000 in state funds to help continue the program. By May 25, the Tigers were CAA champions with a backstory worthy of national headlines. They also won their opener at the Chapel Hill Regional before losing their next two games. “It’s not like winning World War II, but we fought the good fight,” Gottlieb said.